There are a variety of widgets you can use to build your UIs. These widgets include buttons, checkboxes, sliders, textboxes and selection menus. Widgets can only be printed or added to a panel once. The following sections illustrate the basic functionality, look, and feel of the widgets. See the Style section for more information on styling your widgets. The following examples simply print() the widgets to the console. For details on adding widgets to panels, see the Panels and Layouts page. // Shows or hides the first map layer based on the checkbox's value. Note that checking the box turns on a layer displayed on the map. As with other UI components, the Map of the Code Editor can be manipulated programmatically. Learn more about the Map object on the Panels and Layouts page. slider.setValue(0.9);  // Set a default value. Note that the slider value is shown to the right of the slider. // Use a DateSlider to create annual composites of this collection. // Use the start of the collection and now to bound the slider. // Run this function on a change of the dateSlider. // Asynchronously compute the name of the composite. Display it. // Asynchronously compute the date range and show the slider. Note that the callback only gets fired when the user has finished entering text (and pressed return), or the user clicks away from the textbox. // Set a place holder. The charts in the ui.Chart package behave similarly to charts in the Chart package. Specifically, a ui.Chart is a thin shell around an instance of the Google Visualization API's ChartWrapper. For more information on manipulating ChartWrapper objects, see this reference. For more information on the chart helper functions in Earth Engine, see the Charts docs. 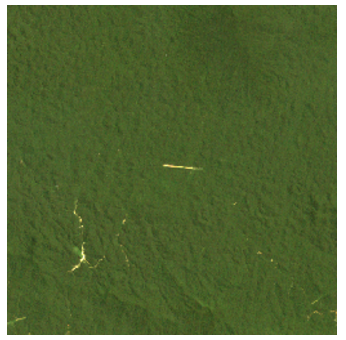 // Create a box around an area in the Brazilian Amazon. // Visualize the image in RGB. // Print a thumbnail to the console. // Make a little map. // Make the little map display an inset of the big map. // Run it once to initialize. // Get a new inset map whenever you click on the big map. // Display the inset map in the console. In this example, the user needs to click the big map to get the inset to draw in the little map. 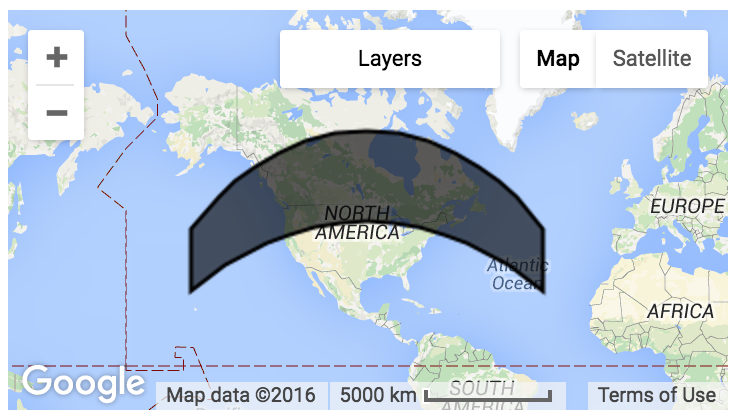 You can also manipulate layers on the map by calling layers() on the map instance. The layers() returns a ui.data.ActiveList, an array-like object. When it is changed, the layers on the map change, too. Learn more in the ui.Map.Layer section. // Update the map by updating the layers list. // Make a textbox to accept a gamma value. // Update the layer when the gamma value is entered. // visParams is NOT an ActiveDictionary, so set it again. // Add two maps to the screen. // Link the "change-bounds" event for the maps. // When the user drags one map, the other will be moved in sync. // Load an image of the Santa Rosa, California 2017 fires. // Add a color-SWIR composite to the default Map. // Make another map and add a color-NIR composite to it. // Add a thermal image to the map. // Link the default Map to the other map. // Make an inset map and add it to the linked map. // Register a function to the linked map to update the inset map. // Create a SplitPanel which holds the linked maps side-by-side. // Set the SplitPanel as the only thing in root. Note that the wipe parameter is set to true, in the ui.SplitPanel constructor in order to let the user swipe the handle back and forth between the two visualizations. The style of a widget is controlled by the widget's dictionary of style properties. You can get access to the dictionary by calling style() on the widget. The object returned by style() is an instance of ui.data.ActiveDictionary. That means that setting properties of the style dictionary automatically updates the way the widget is displayed. The allowable keys for each widget's style dictionary are detailed in the widget's reference docs for the style() call. Note that in this example, the label is styled first by calling style().set() with key and value arguments, then by calling style().set() with a dictionary argument. The second call does not override the first; it adds and replaces individual style properties rather than replacing the entire style dictionary. For more information on the styling options for widgets, see this Cascading Style Sheet (CSS) reference for the styles listed in the style() docs for each widget. Note that the styles allowable for Earth Engine widgets differ from CSS styles in several places, notably fontSize and fontWeight for font-style and font-weight, respectively. The styles dictionary also contains keys that control the position of the widget. See the Panels and Layouts page for more information on how to use positional properties.